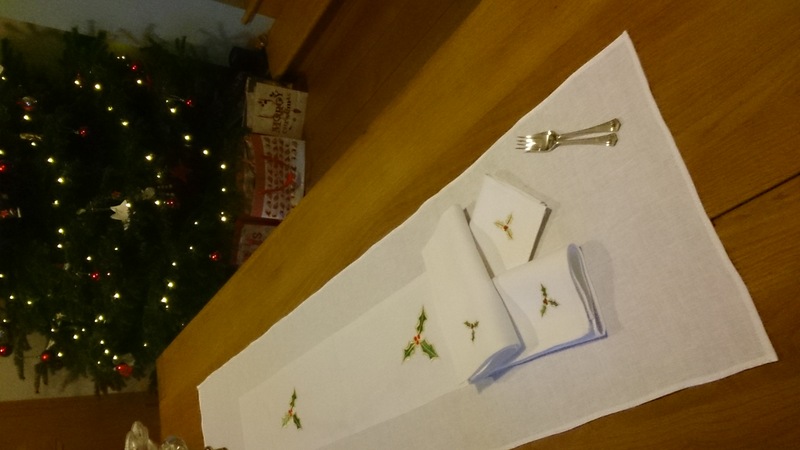 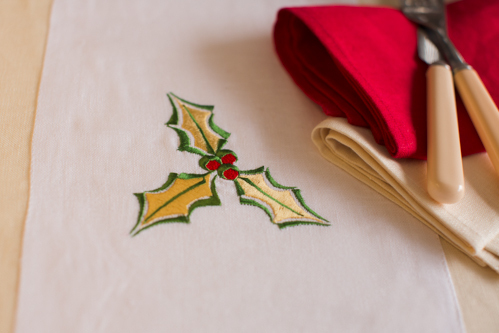 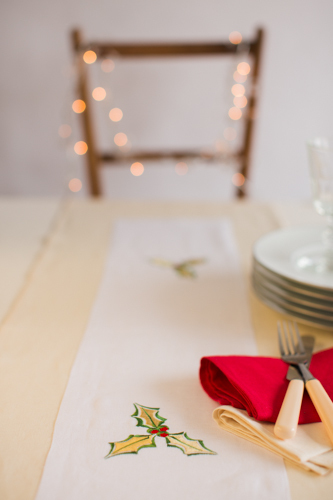 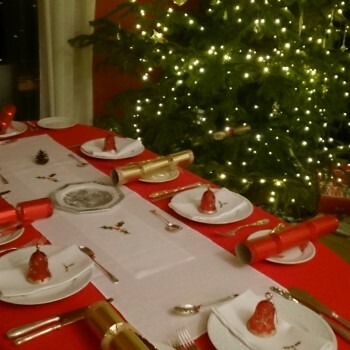 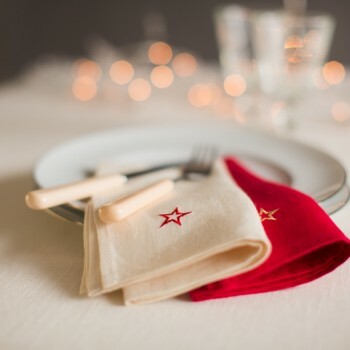 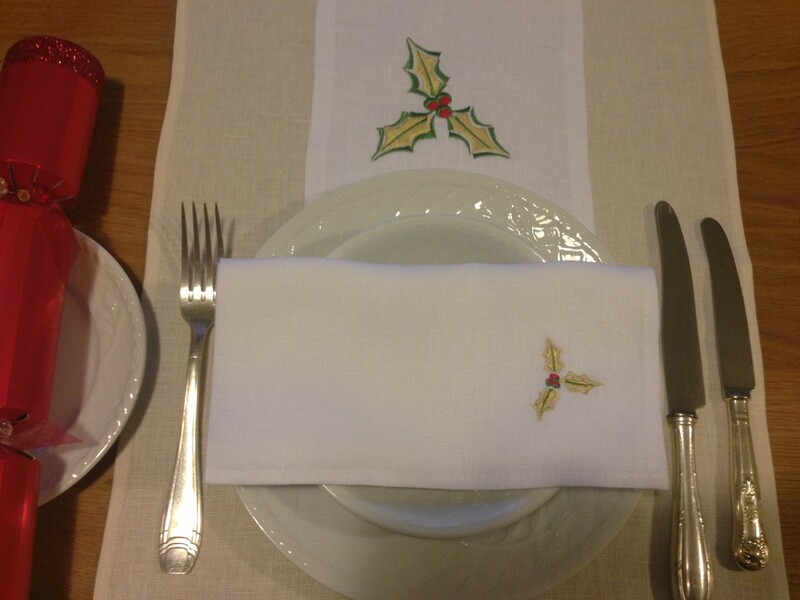 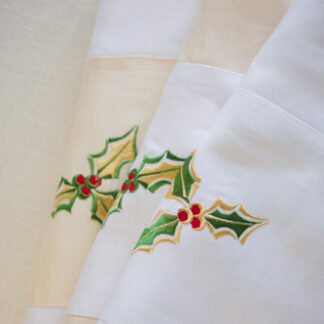 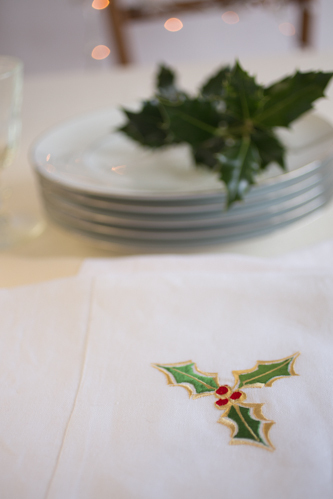 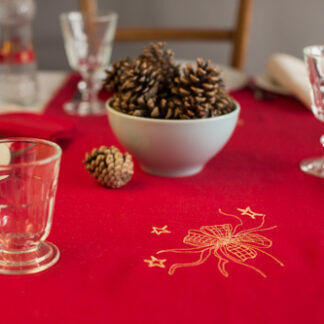 These lovely Irish linen table runners will add great style to any Christmas dining. 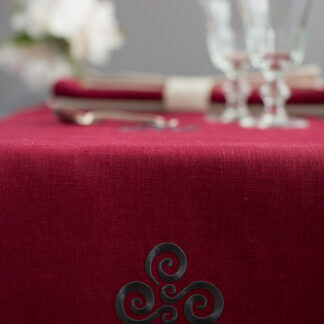 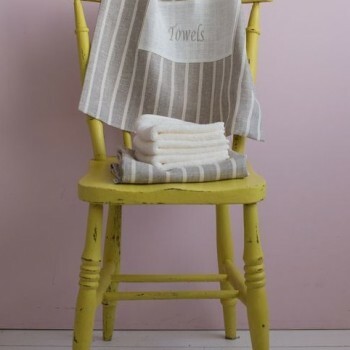 Available in three colour ways and all in 100% Irish Linen. 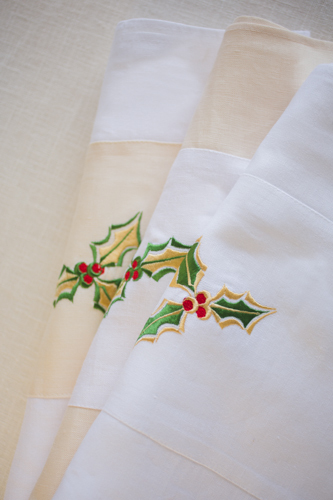 Ecru Irish linen with white linen insert embroidered with holly motif in gold trimmed in green. 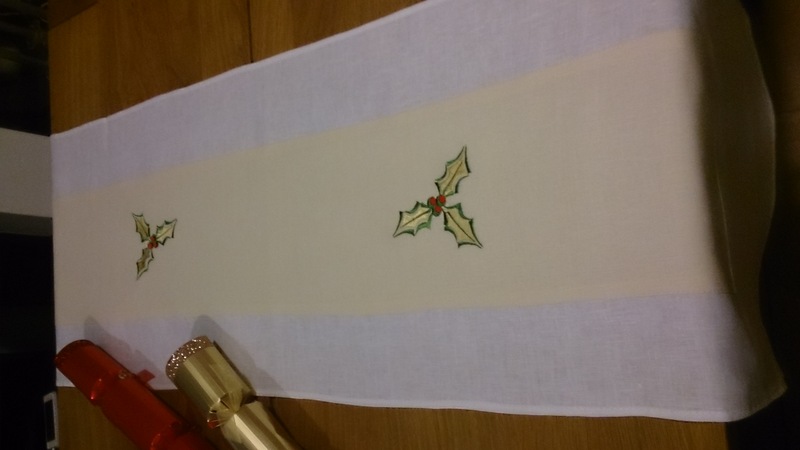 White linen runner with ecru insert embroidered with holly motif in gold trimmed with green. 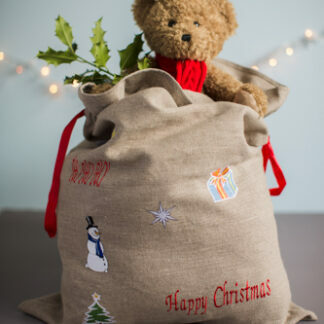 Boxed and gift wrapped for you for free.